Every month we recognise some of the impressive achievements within the Macquarie community. Got something to share for next month? Tell us. Macquarie has been named as one of the top 40 universities in the Asia-Pacific in the Times Higher Education Asia-Pacific University Ranking 2019. Macquarie was ranked #38 out of more than 300 universities in 13 different countries. 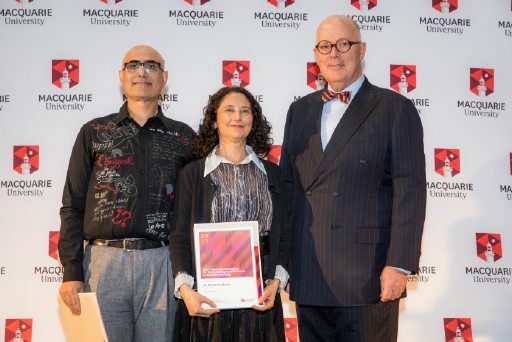 In other positive rankings news, linguistics and philosophy at Macquarie have been named among the best in the world, having been included in the top 50 in the QS World University Rankings by Subject for 2019. Performing arts, psychology, Earth and marine sciences, geography, accounting and education all made the top 100. Congratulations to Dr Iqbal Barkat and Dr Karen Pearlman of the Department of Media, Music, Communication and Cultural Studies. The pair have been recognised at the Australian Awards for University Teaching, with a Citation for Outstanding Contribution to Student Learning. Dr Barkat and Dr Pearlman were acknowledged for their innovative teaching of screen production, which also saw them pick up Vice-Chancellor’s and Faculty of Arts Learning and Teaching Awards in 2017. Dr Iqbal Barkat and Dr Karen Pearlman at the 2017 Learning and Teaching Awards. 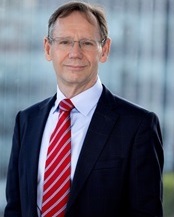 Professor Jeffrey Braithwaite, Director of Macquarie’s Australian Institute of Health Innovation, has been appointed as Temporary Adviser to Dr Ahmed Al-Mandhari, Regional Director in the World Health Organisation (WHO). Professor Braithwaite will attend the first meeting of the Technical Advisory Committee in Cairo in April. With the help of Dr Alec Morgan from the Department of Media, Music, Communications and Cultural Studies, pivotal moments in Australia’s 20th century history will be seen in brilliant colour for the first time. Dr Morgan has written and directed two episodes of Australia In Colour (SBS TV) which uses cutting-edge technology to colourise black and white archival footage.